Secrets! They were all she had ever known. Since the night Jenna Bailey witnessed the unthinkable, she had been forced to live with a new identity. Isolated. Protected. Hidden.Reluctantly, she began to build a new life from the ashes of destruction left behind. She became a scholar student and an all-around athlete who surrounded herself with a tiny circle of trusted friends. Friends who made living in Jefferson County adventurous, exciting, and unforgettable.Rules changed when the All-American baseball star, Ty Connelly, caught her eye and made her forget everything. She dropped her guard and began to defy the precautions set in place for her family's safety. To Jenna, he was worth the risk. He was the one person who had the power to turn her nightmares into dreams. Dreams of a future where living was possible again and secrets could be forgotten. Or could they? 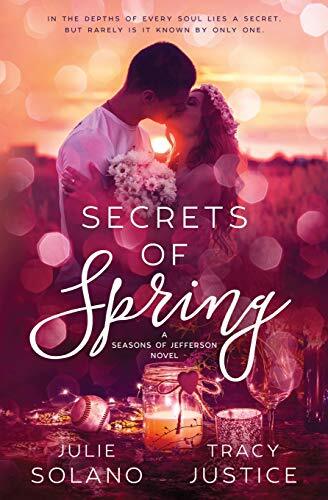 Find out in the exciting conclusion of the Seasons of Jefferson trilogy, Secrets of Spring. *** This book contains mild language, some suggestive humor, and underage drinking.